Rich brown burlap provides the perfect contrast for beautiful white lace on these vintage country bridal shower invitations. Event details appear on the front and the back can be used to display registry information. 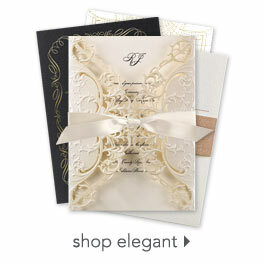 Personalization Options: Burlap background and white lace are printed as shown. Your wording is printed in white in your choice of fonts.